If you love DIY projects, you probably also like upcycling old things that might otherwise get tossed in the garbage! It's a great way to help the environment while making something beautiful. The next time you're at the thrift store, keep your eyes peeled for some old windows. 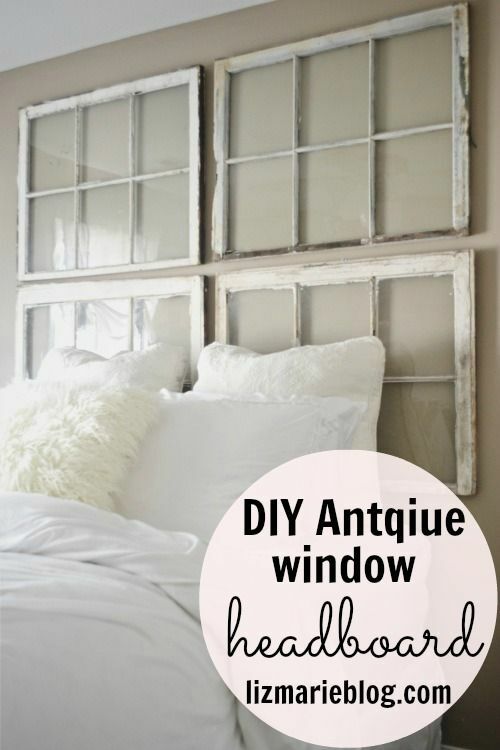 With or without glass, old windows can be turned into so many amazing things! 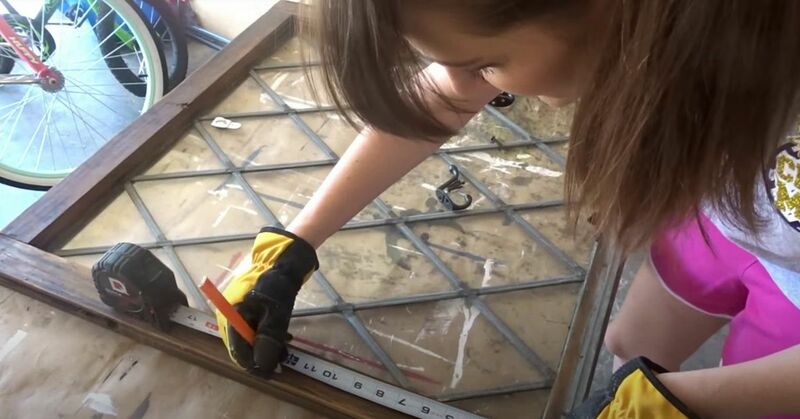 You might not want to have real windows that people can peek through right above your bed, but these antique windows are a totally different story! This headboard is so unique, and it would be easy to personalize with photos, fake flowers, or twinkly lights. 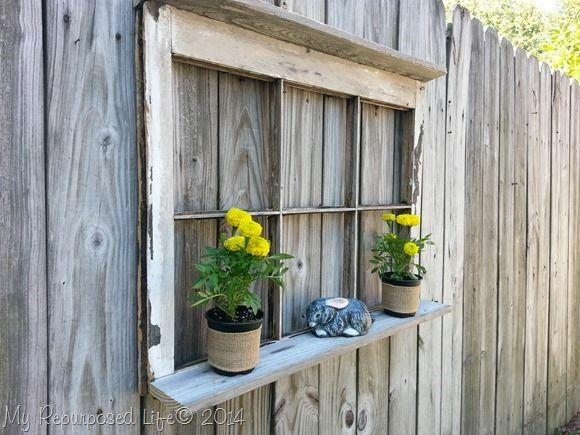 Why not turn an old paned window into a giant photo frame? 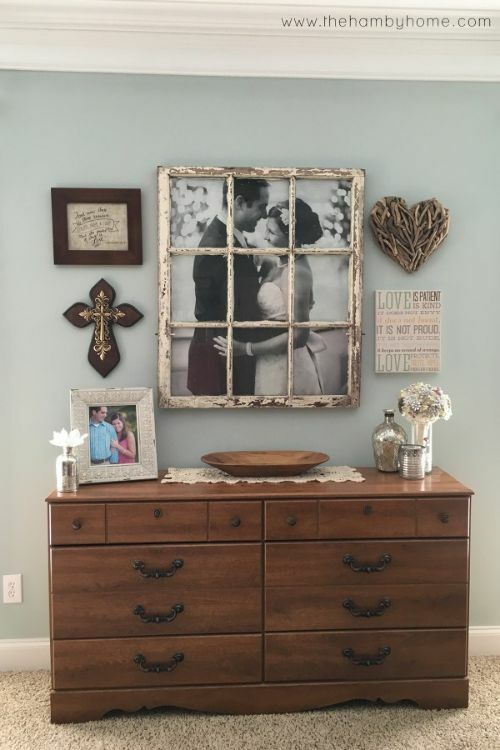 I love the idea of using it to display a wedding photo as shown here, but it could be used for any other type of photo as well. 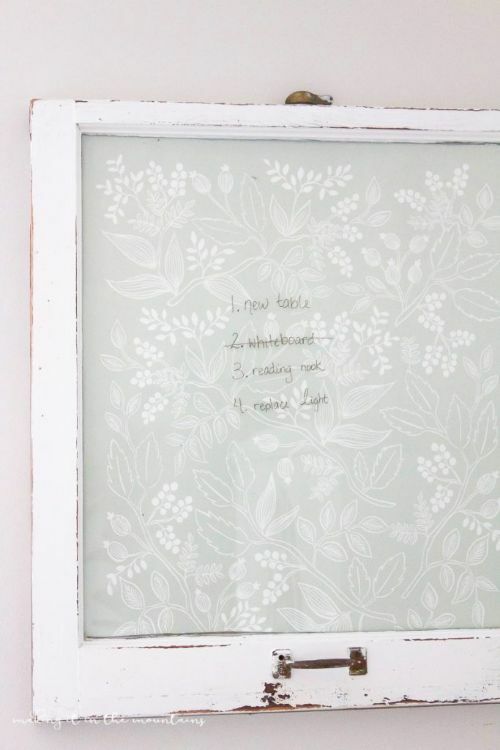 This simple vintage window dry erase board would be the perfect addition to your home office or craft room! It's lined with wrapping paper, so it's easy to choose a pattern that you like. This window coffee table is simply amazing! 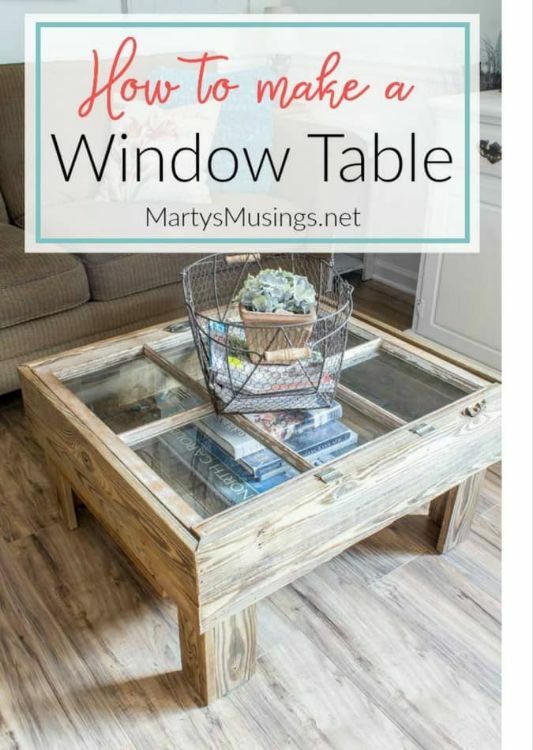 The inside of the table would be a great place to store things, but you could also take advantage of the fact that it's see-through and make a pretty display. Bulletin boards always come in handy, especially when they're as cute as this one! This would be the perfect place to hang memos, pin up your kid's classwork, or even display your favorite photos. This window shelf is so versatile — it would look great with or without glass in it, and you could hang it either inside or outside! I think I would give mine a fresh coat of paint... how about you? 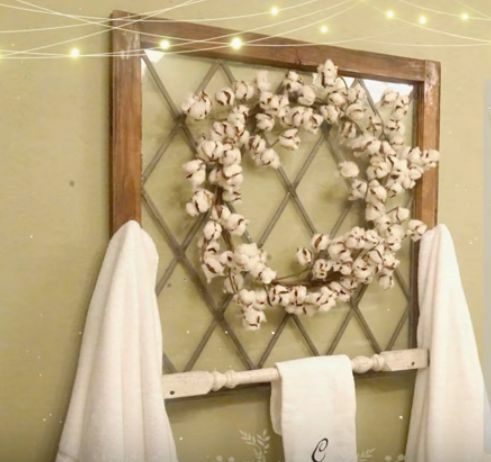 This farmhouse style bathroom window is decorative and useful — the perfect combination! I think this would also be a great coat hanger for the entryway.